DMAR Engineering, Inc. provides quality engineering services to offshore energy industry projects across the globe. 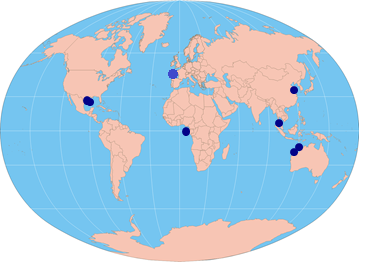 Project locations have ranged from the Gulf of Mexico to West Australia, and from West Africa to Southeast Asia. DMAR excels in providing engineering services for various facility types including TLP, Spar, Semi-submersible, FPSO, SPM, Drilling Ship, and Jacket.